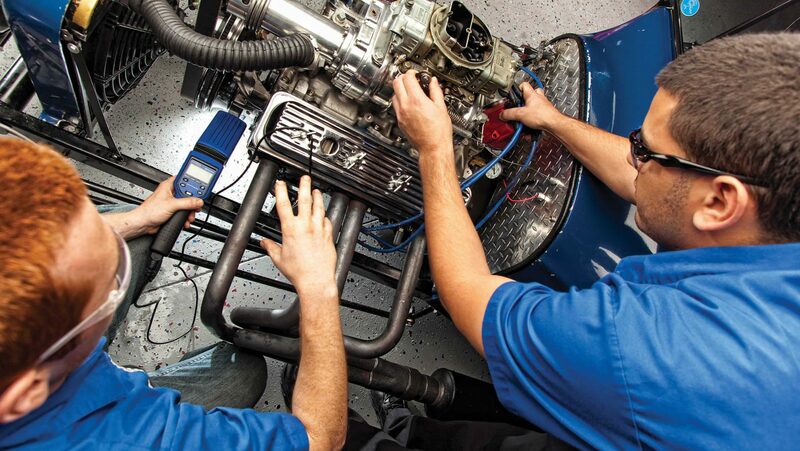 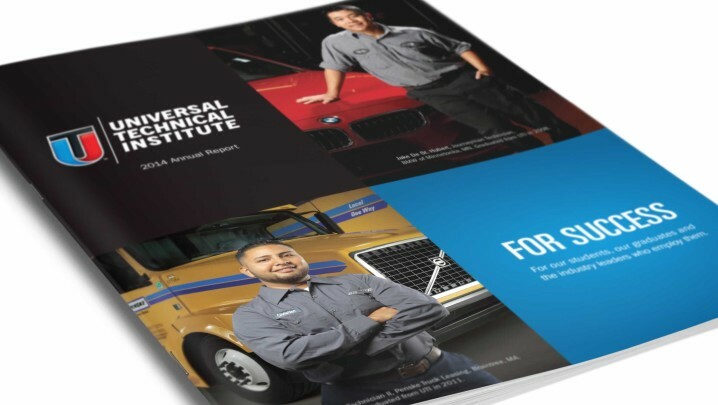 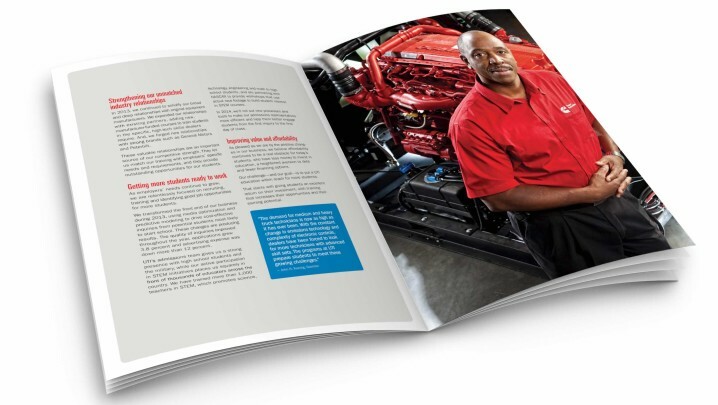 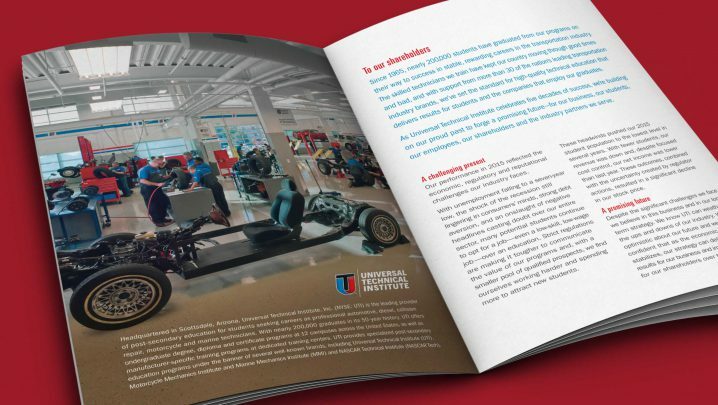 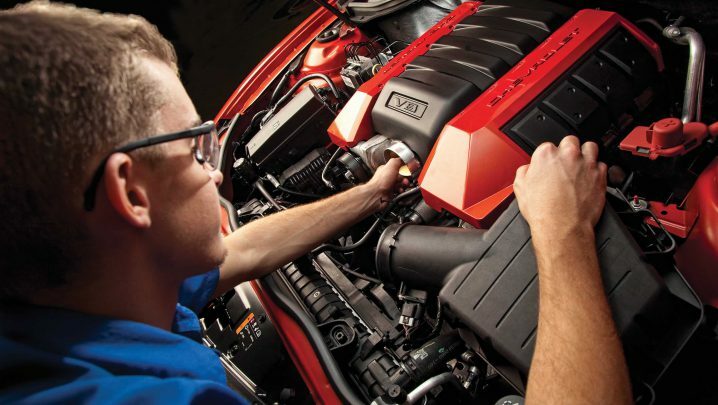 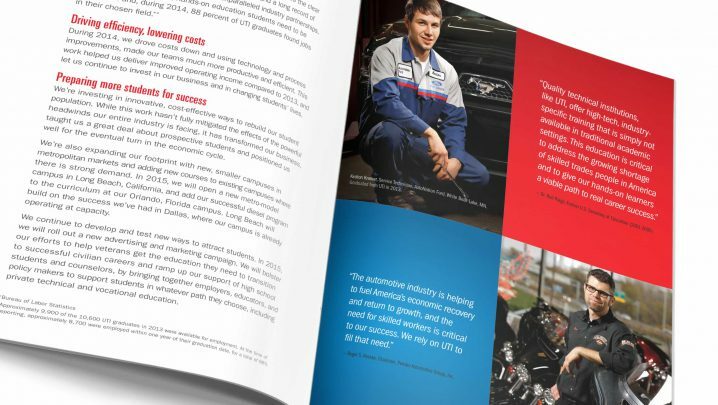 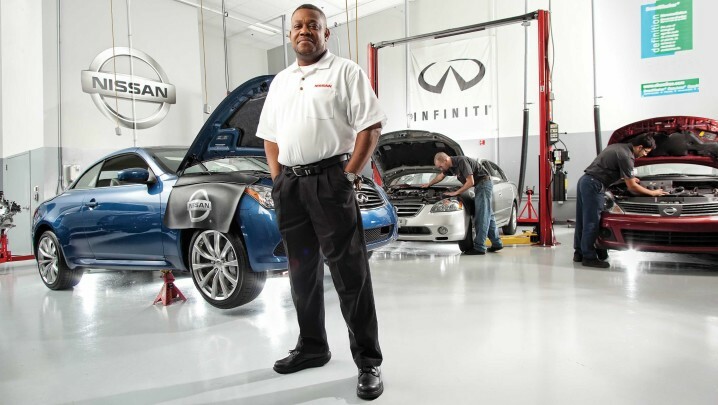 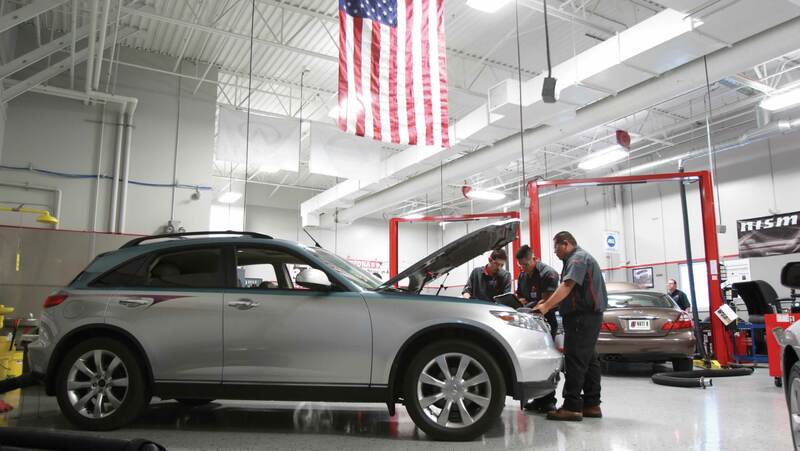 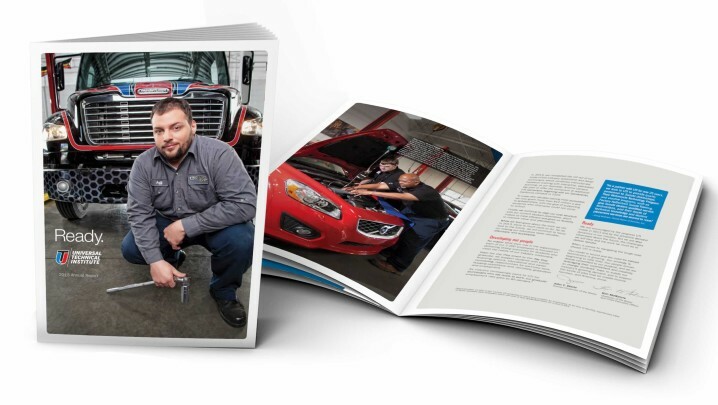 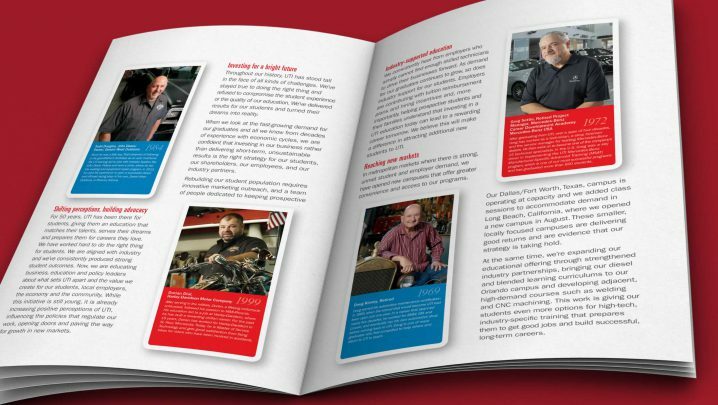 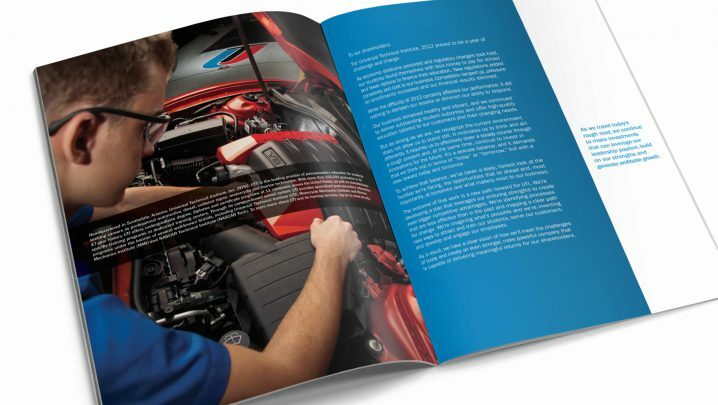 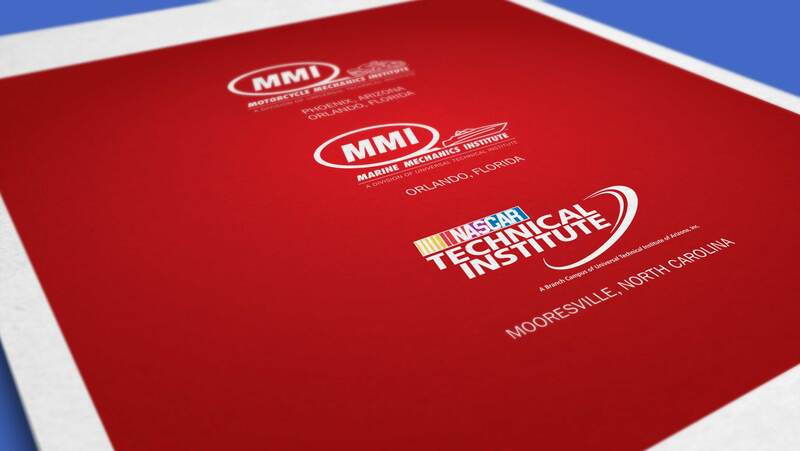 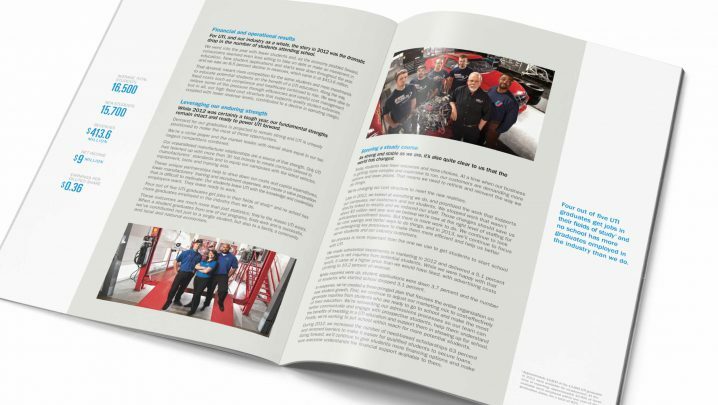 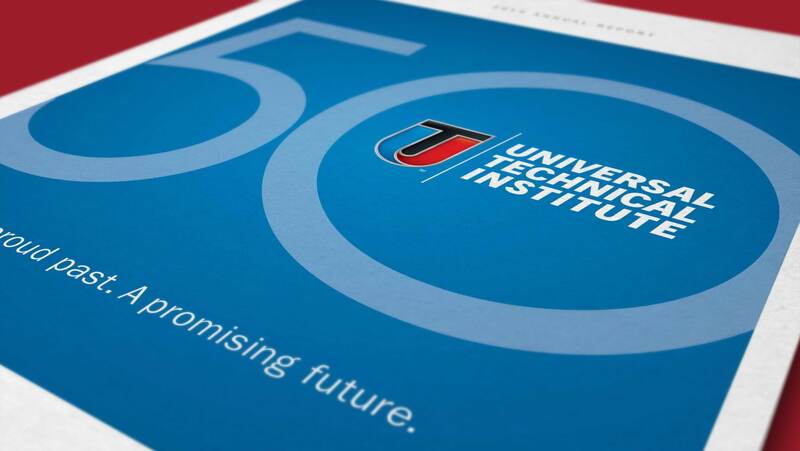 Universal Technical Institute, Inc., is a nationwide provider of technical education training for students seeking careers as professional automotive, diesel, collision repair, motorcycle, and marine technicians. 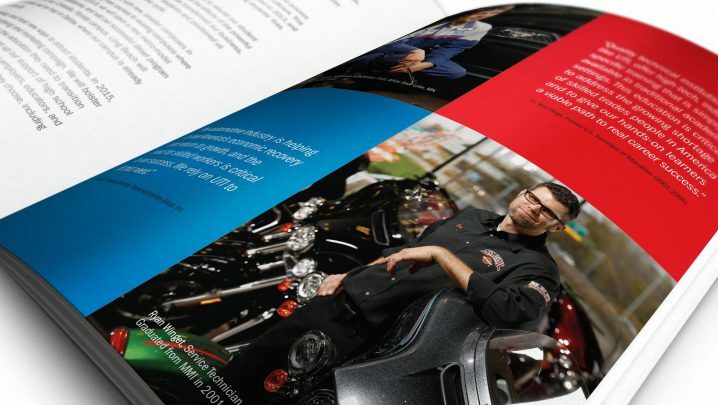 Each year’s annual report is designed to reflect the Chairman’s message. 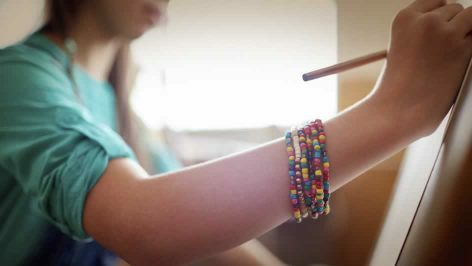 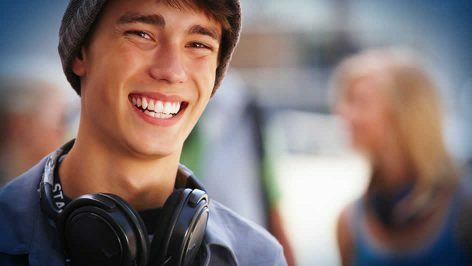 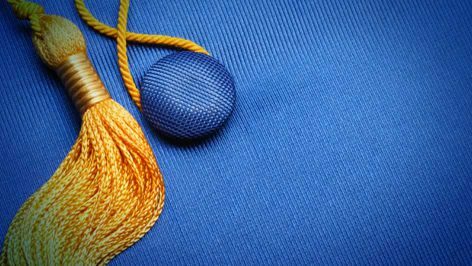 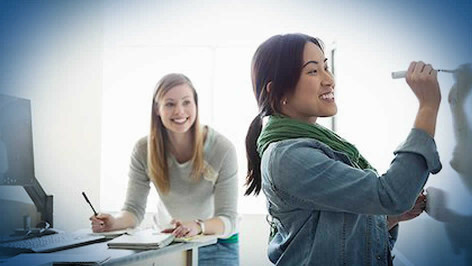 Actual student success stories are often included to emphasize the different training programs and locations. 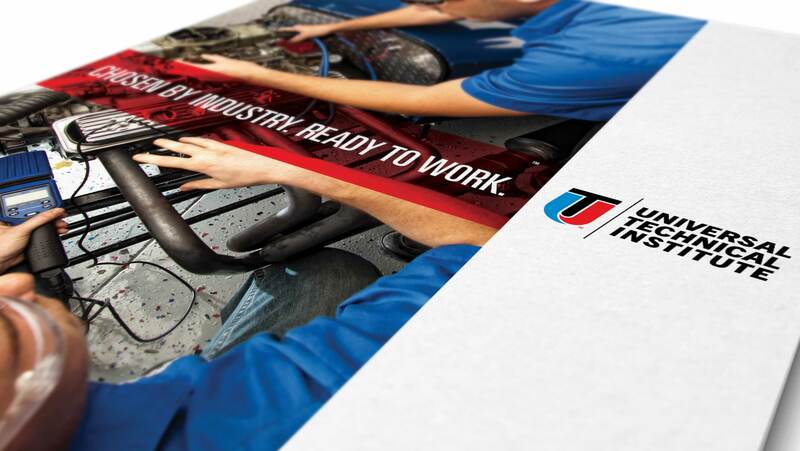 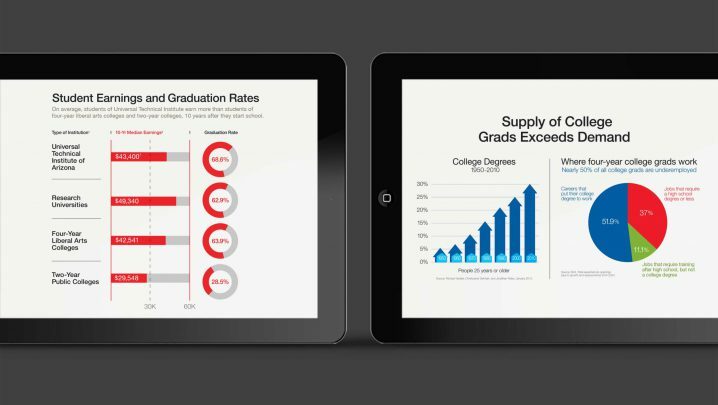 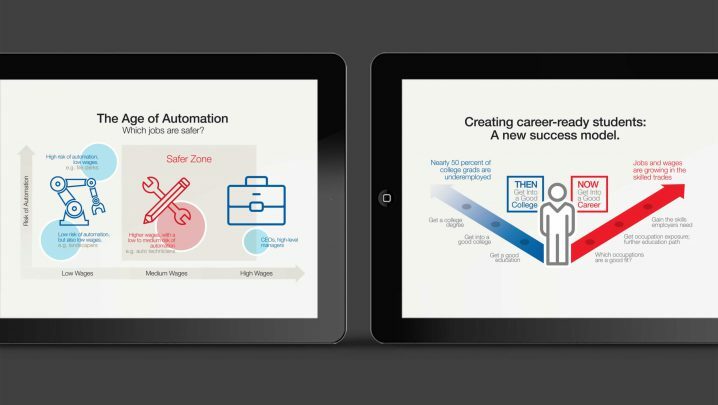 A series of infographics designed for corporate presentations show the importance of UTI’s training and the achievements made by graduates.